The crew responsible for this event are familiar figures in the Berlin nightlife: Jewels Good, aka The Beautiful Jewels, a world renowned performer; Dodgy Dennis, who previously opened Waffengalerie, CCCP and La Tox; and, her husband, actor and musician Stephen Thompson, who will be on the piano at Horns & Hooves. 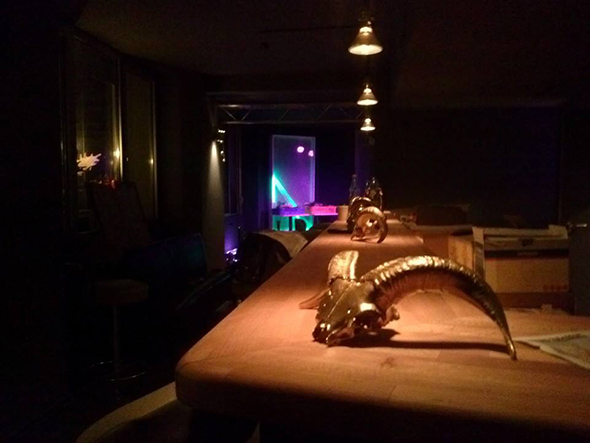 Go out to the opening on Halloween and descend into the depths of Horns & Hooves, which promises entertainment, magic, mystery, and hidden gems. Blog entry by Alena Sokhan in Berlin; Monday, Oct. 20, 2014.